Here's Cathedral Peaks to the right as you look at the Maroon Bells. More about the Maroon Bells, Maroon Lake and the SCENE IN ENCHANTED EVER AFTER tomorrow! Garrett Primross is the sole survivor of an epidemic that killed the woman he loved. Garrett knew Dinni was not his HeartMate but his love overrode all desire for any other woman. The Iasc illness has reappeared and the Healers are asking for his help. They want to infect him again and observe him during the illness. Second level healer Artemisia Panax will be the observer. Only Garrett knows that Artemisia is his HeartMate. After Garrett's recovery, he is asked to lead the investigation into a murder. The victim was a man who was a murderer himself. His murders were religious in nature. Everyone connected with that religion was investigated and many were disgraced. Artemisia's family were members and the disgrace drove them out of their home. The investigation will bring them closer together. Ms. Owens has continued her highly successful Celta novels with this latest entry. A highly complicated story with the intertwining of the two parts of the story, HEART SECRET will keep readers engrossed as they unravel the mysteries in the story. I love this series and hope she can continue with this series for a long time. **Sigh** NOTHING LIKE A GOOD REVIEW! Parents and bro and I went on a Colorado Fall color trip yesterday. Here is one of the pics. We also went to Maroon Lake and the Maroon Bells, where I set a scene in Enchanted Ever After. No blue sky like most of the autumn pics you see, but clouds and mist moved in...very atmospheric. I'll post some of those, too, here and on pinterest. May the season treat you right today. All right, here's a sneak peak at Maxima Elecampane, Raz Cherry and Del Elecampane's daughter. They (and heroine Glyssa Licorice) are at the excavation camp of the starship, Lugh's Spear. "Parents!" a girl's voice called before the Elecampane's sole child, teenaged Maxima, strolled into the tent, carring a long-barreled blazer. Her chubby cat rode on her thin shoulder. Glyssa blinked. Maxima had struck her as a serious student who wouldn't be out of place as a public librarian – that the girl carried a weapon and seemed competent with it, surprised her. "We took a walk to where the wounded hawkcel was found," Maxima said, moving with her father's grace as she put the gun away in a locked and spellshielded wardrobe set in the far corner of the room. If you've been following me, you've seen that I've been doing some historical research (yes, for a paranormal series). I've been to the Denver Public Library, and shooting off emails to Wyoming about the Pony Express. People actually pay attention and get back to me. Now, RITA(r) Winner would get me little in this crowd (though Daphne Du Maurier Best of the Best might, I think her name is pretty well known). And, no, I don't actually have cards (didn't like the last bunch I got). I do have my wallet calendars, but I don't hand them out like cards. So, if you are a writer and have a good-looking/sounding credit and need info from serious academic types, USE IT. My advice for the day, may you enjoy the sunshine. Naming Characters: I kept writing Race, Race, Race...then I'd have a scene with Raz Elecampane (yes, he took the name Elecampane, though he still acts under the name of Raz Cherry). Two letters at the beginning of a one syllable word. I'd already approved the back cover copy. Finally, I broke down and asked editor if it was too late to change the name. We agreed on Trace rather than Case (I like the sound). But Race didn't like Trace, he felt marginalized (heh! ), he is NOT a "trace" of anything. He liked Jace, like Jason and the argonauts. So, hopefully the back cover copy will reflect the book, and Jace. And that's been my trauma for the week. 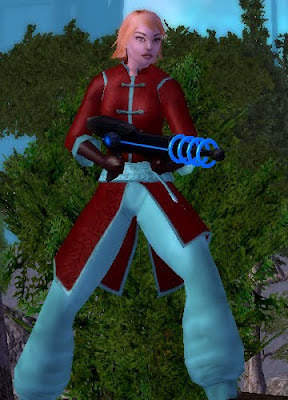 And, you know, I could make any of those costumes, that's how long I've been with City of Heroes and how well I know their character/costume creator. 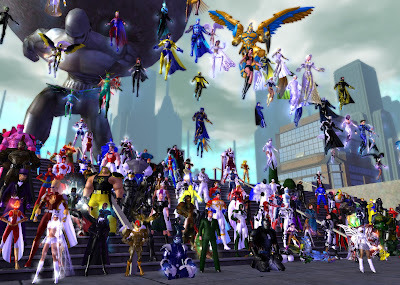 And on the server named "Guardian" I have several of my heroes and heroines, and cached on my machine (soon to be lost because I won't be able to access COH). Is there someone you'd like to see? I pitched my two epub projects at last weekend's Rocky Mountain Fiction Writer's conference. I pitched excruciatingly poorly, and I got upset at the comments of what publishers want. Mainly because I am having such a great time just writing the stories without worrying about fitting them in the box of what the publisher wants. For instance: Luna wants a Woman's Story. That means I can't open the book with a hero's point of view (which, if you look at my Heart books, I do more often than not). The hero's point of view should be, ideally, less than 50%. I'm also always aware that I need a revelation of my heroine's growth at the end. So I've decided that I will just write the way I want to, right now, trust myself. May you enjoy your own revelations today. I am on the Writerspace Blog today, here. So if you want to know what I was thinking about yesterday (as always, writing), there it is. 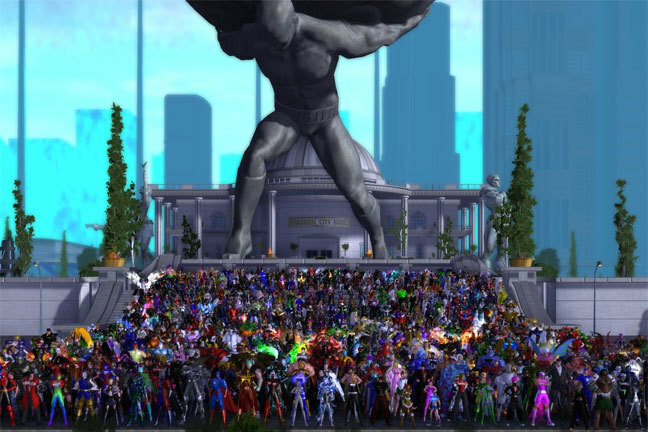 City of Heroes going down? NCSoft, the Korean parent corp of Paragon Studios, laid off everyone at Paragon (80 people) last Friday and announced the closing of the game, City of Heroes. This has stunned and distressed me. I've been making characters who look like my book heroes and heroines for YEARS and sending them to my editor, along with some settings -- and posted them here. The character customizer is amazing. I'll be putting all my characters (the ones I used for my books, the ones I made to try out costumes, and the ones I actually played) up on pinterest, but the loss of the community...and the stress relief...is just HORRIBLE. I'll be fighting to keep it going somehow (I have links on that effort if you want to know more), but I've (literally) fought City Hall before and it didn't end well. The proposal I've been working on for a month is done. I am very pleased with it, though, as usual, the thrashing around with the synopsis/outline was tough. I always forget how miserable that can be. Now I'll get back to, um, Heart Fortune, and the shapeshifter novella of which I posted pages here earlier, and Enchanted Quest. 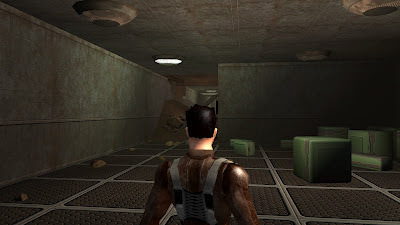 And I may be able to update this blog more often, too. Thanks for hanging in there with me! I hope you are having a GREAT weekend.